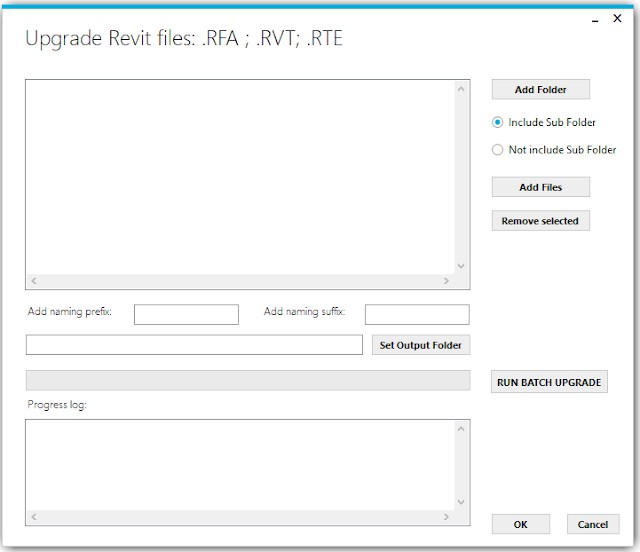 Home Batch Tasks Revit Add in How to quickly upgrade all Revit families, Revit model or Revit templates to your current Revit version ? Upgrade old Revit models, families or templates to the current Revit version is one of the most common tasks that you need to do every year when new Revit version is arrived. Normally it would take days to do this kind of task and also waste a lot of time and resource for this boring tasks. 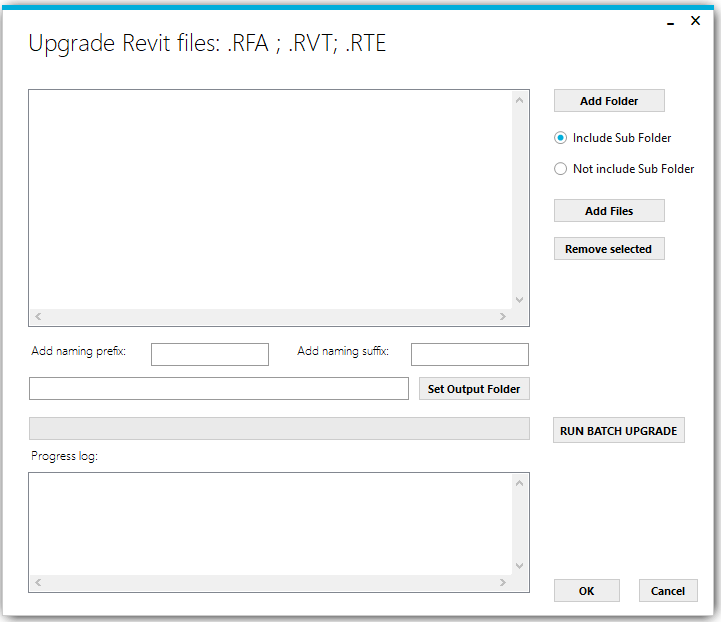 Click on the Add Folder button to browse and add Revit files to upgrade in selected Folder. If you choose the Include Sub folder option, it will automatically scan and add all the Revit files in the sub folder of the selected folder. If you choose, Not include Sub folder option, it will only add the Revit files in the main selected folder and ignore the sub folder. All the selected files will appear on the main listbox. Click on Add Files if you want to add some files only not the whole folder. All the selected files will appear on the main listbox. Click on Set Output Folder button to select the output folder, or you can copy and paste the path directly in the text box. 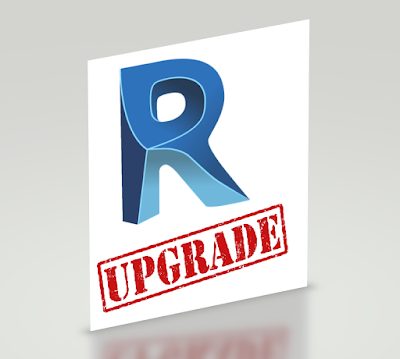 Click on Run Batch Upgrade button to start the process. The running log will appear in the Progress log list box. For the Revit Families, they will be saved in the folder name with folder name is their Category (similar to the default Revit library style). The waiting time is depended on how many files you need to upgrade. The finishing percentage is displayed by the progress bar.